«This world is incomplete, it lacks what I need. Others cannot give me what I need. Only I can. That is why I am a sculptor». Jorge Du Bon’s words help us understand his visceral relationship with his work. Trained in Europe and the United States, Du Bon’s diversified education was reflected on his multifaceted practice as sculptor, architect, city planner and designer, as well on the dissemination of his oeuvre in many European and North American countries. 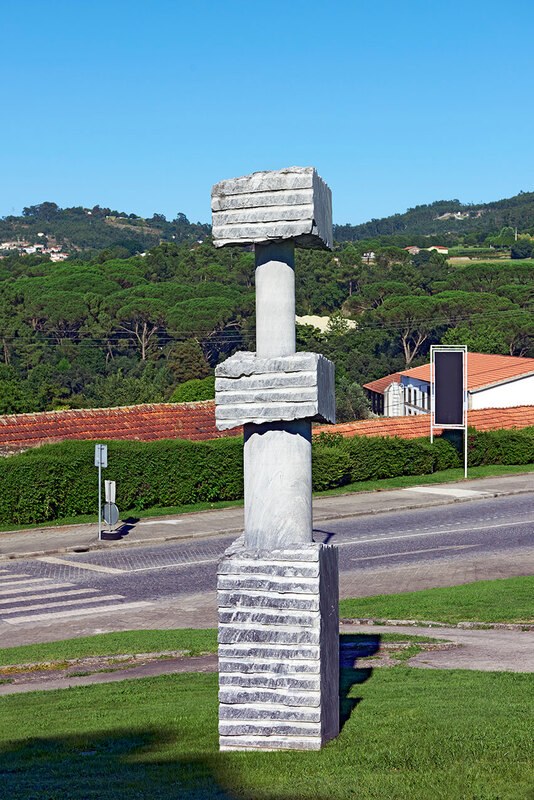 Made mainly of stone, metal or wood, his sculptures show the artist’s concern with the way in which each piece becomes part of its urban or natural environment and relates to the surrounding architectural landscape. This Mexican artist’s sculpture focuses on modernity’s basic elements, while recovering distant memories of totemic traditions, images of power and religion. As an example of everything that sculpture has been said to be, a grey marble column of straight, simple lines rises as if trying to speak boldly to the gods. Within the MIEC collection, this piece is the closest one to the monolith — a primeval form of celebration, showing our need to be remembered. The construction of Second Growing Pillar is emblematic of the author’s intentions from the start: a single massive block with the full dimension of the piece is roughed out, removing all the unnecessary material, in order to build a new identity inside. In this process of removal, a perfectly geometric, polished column (as opposed to the rough initial block) is gradually revealed, as its diameter is reduced. This process reminds that of Michelangelo, the undisputed Renaissance master, who saw sculpting as a process of freeing the forms imprisoned in the marble.